I am a motorcycle guy way more than I am a car guy, but since becoming a contributing writer for The Drive, my editors have been kind enough to allow me to wander aimlessly into the world of the automotive industry. Out of all the writers, reporters, and staffers here who write remarkable pieces on automobiles, I am surely TFNG. Cars and trucks are far more mechanically complex than motorcycles, but they still have an allure to them and I’ve enjoyed learning more and more about them. The most average cars serve us in utility and convenience. And in my everyday life, I am grateful. To experience a raw, visceral, and pound-for-pound performance-oriented emotions I am accustomed to every day on my motorcycle, I would have to step into a supercar. 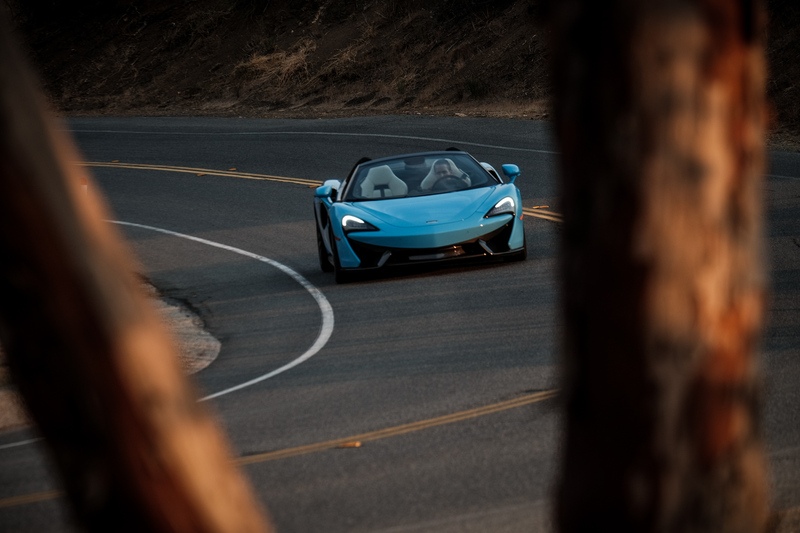 Earlier this week I was invited out by my best man and fellow automotive journalist Manuel Carrillo III to shoot and experience the McLaren 570S Spider in the hills of Southern California. Walking up to the Four Seasons Hotel in Westlake Village, there were five McLaren 570S Spiders' on display. A couple in charcoal, a couple in black, and one that stood out from the herd, a baby blue McLaren 570S (officially called “Curacao blue”). If you’re going to spend north of $200k on a supercar, it might as well pop. Go big or go home, am I right? After a brief and intimate meeting with the communications and PR team from McLaren, we set off to experience this majestic machine that McLaren says is a daily driver for most of their owners. Oh to be filthy rich, alas I’ll have to settle for my four hours of wealth sitting shotgun in this blue spaceship. 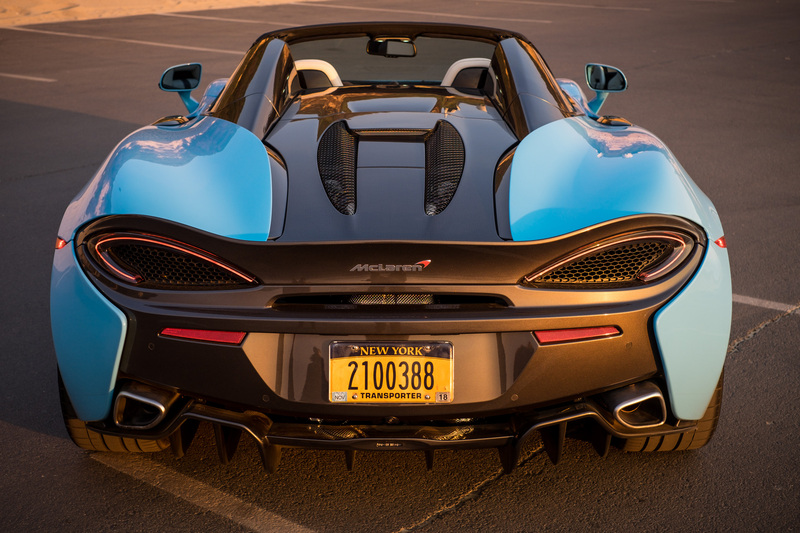 Yes, that’s right, we absolutely opted for the McLaren 570S Spider in Curacao Blue. Sure, the sand gets everywhere but its all about the passion right? 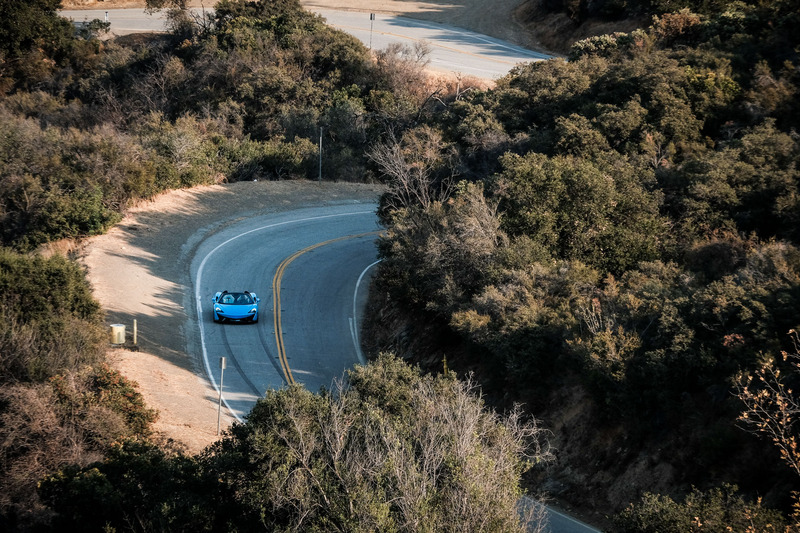 As we left the Hotel and headed into the Santa Monica mountains, Manuel put his foot down and the 570S Spider came alive like a tiger waiting in its cage for a meal. The second the gate lifts, it bounces and ravages the read meat in front of him. What you have witnessed is the shocking allure of a beautiful beast tapping into it’s primal and wild nature. That is what it felt like when the 3.8-liter twin-turbocharged McLaren V-8 engine roared to life. 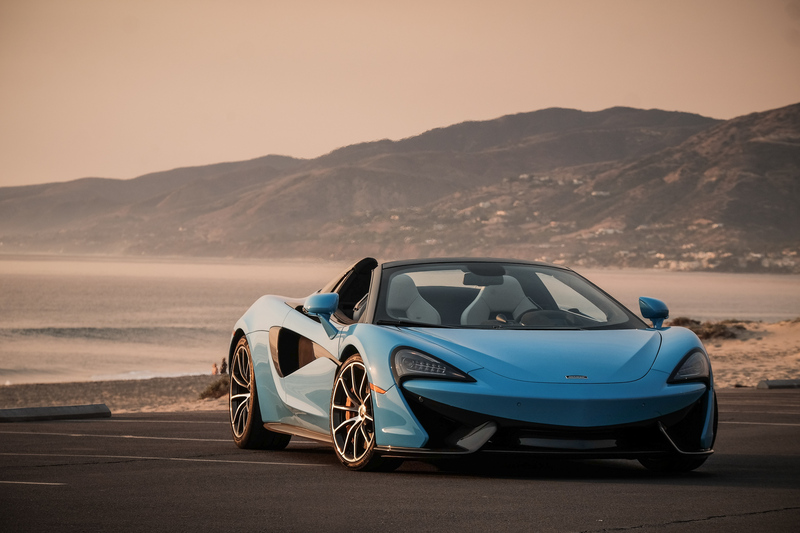 The McLaren 570S Spider doesn’t come across as this brutish angry supercar, it’s more refined and elegant when compared to a Lamborghini Huracan or a Ferrari 488GTB. At least that’s my take. Design and beauty are entirely subjective. 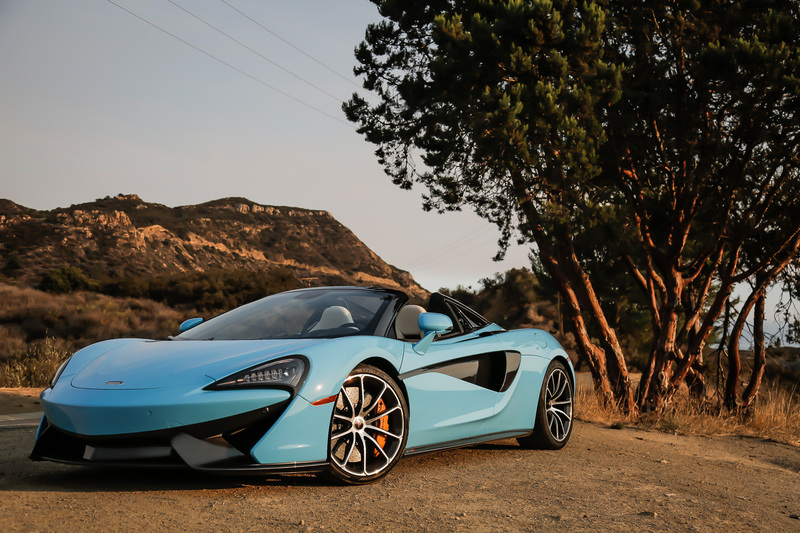 If I had my choice of the three, the McLaren 570S Spider would take top honors. 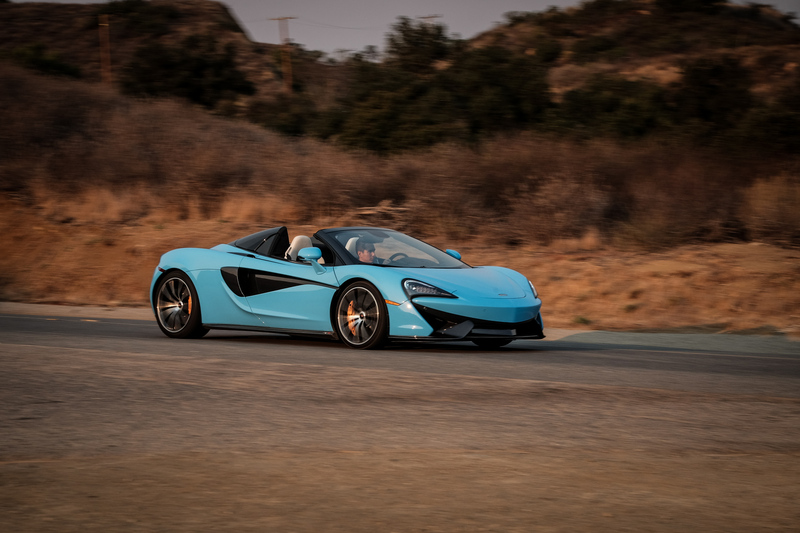 Performance is delightfully soul-crushing with a zero-to-60 time of 3.1 seconds, and while outright power delivery is pure joy, it is the handling and intuitive feel of the McLaren 570S that keeps me most interested. 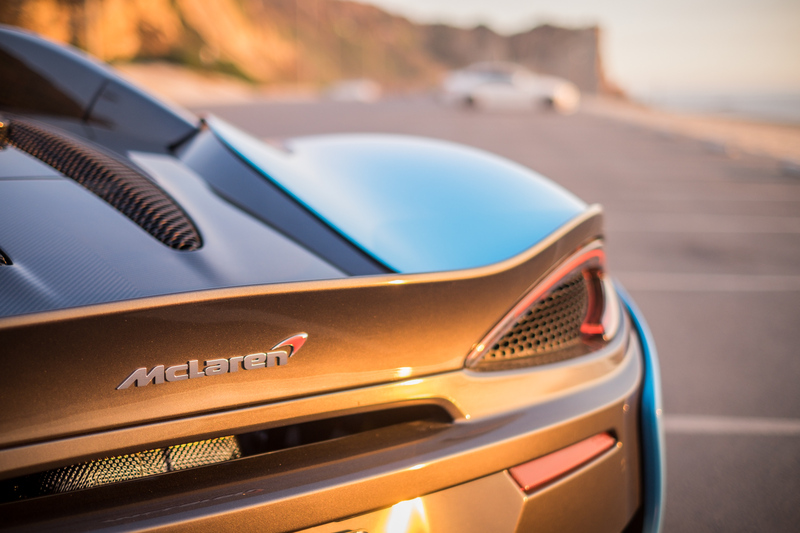 The McLaren 570S Spider attaches itself to the pavement courtesy of Pirelli’s P-Zero Corsa. 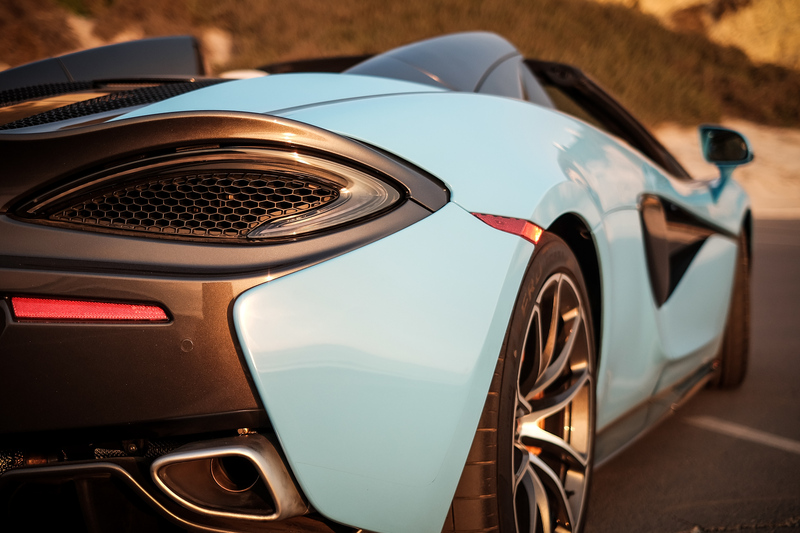 In conjunction with its rear-mounted engine, carbon fiber tub that keeps the weight of the vehicle incredibly low and light, the 570S Spider feels as though it has the world’s strongest magnet hidden somewhere underneath the car attaching itself to the core of the Earth. As we raced through the canyons, I could feel very little if any body roll, the 570S Spider was remarkably well planted. 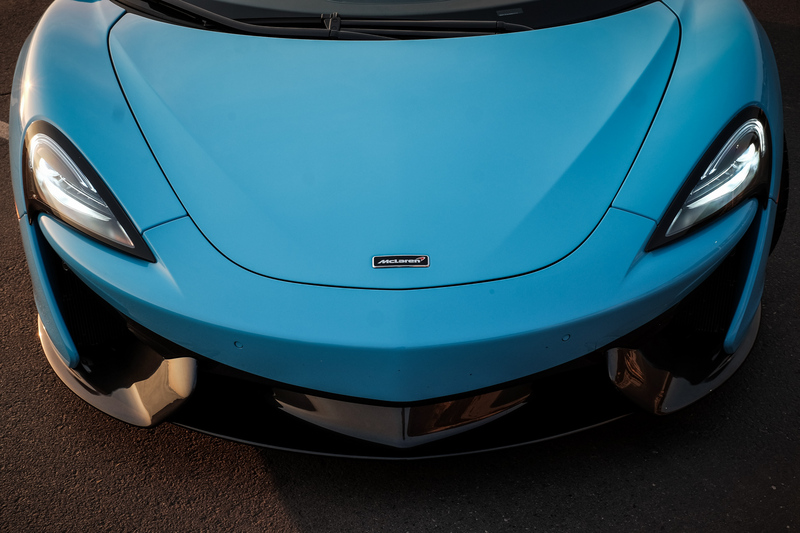 As linear and quick as the engine’s response is to acceleration, stopping the 570S is equally gut-wrenching thanks to the massive Brembos on each wheel. 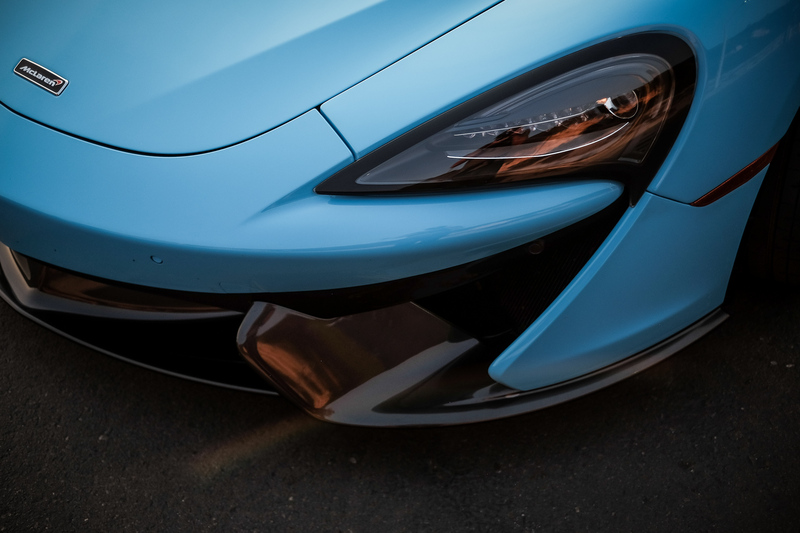 Everything on the 570S works within the upper echelon of automotive design and function. It’s a testament to the engineering McLaren has put into the car. 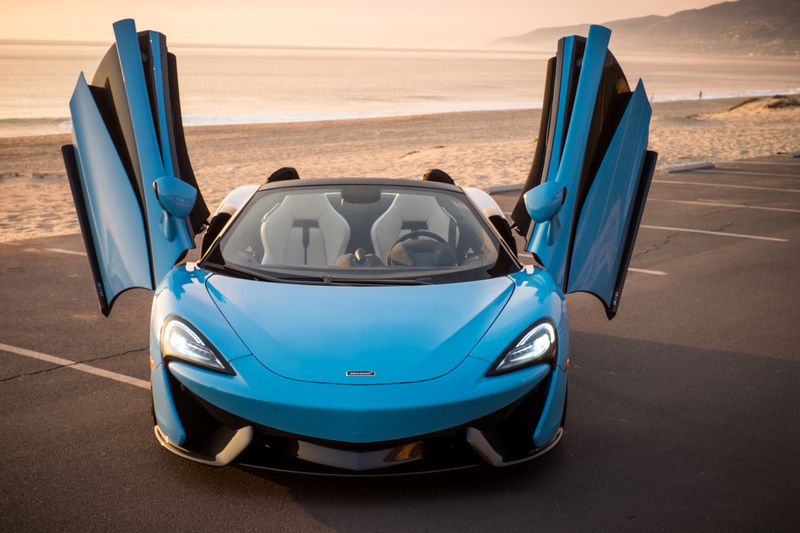 You would look at the McLaren 570S and think of course this thing is fast a purpose-built for the track or taking 45 mile per hour turns at triple-digit speeds but the interior and acoustic elements within make this a perfect and habitable everyday roadster. 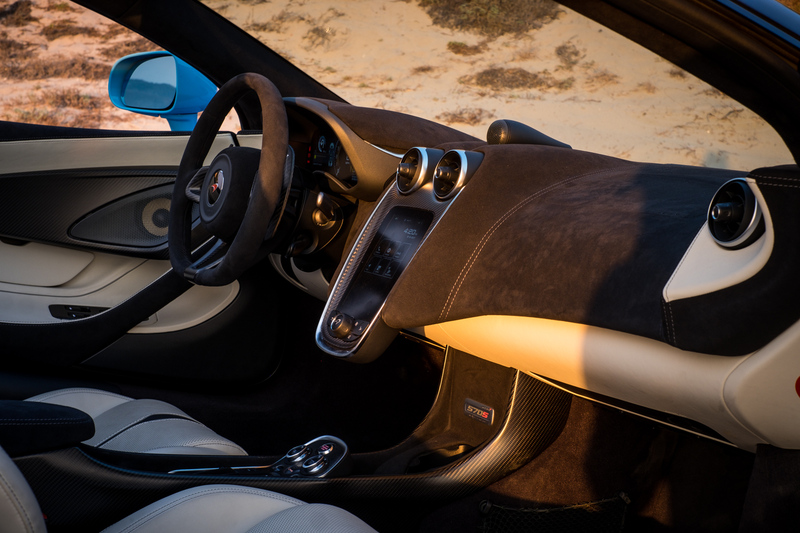 Cruising along PCH at 55 mph with the top down, the 570S seems perfectly tame and content, even comfortable. Wind noise is minimal and non-intrusive and the engine doesn’t howl unless you let this hound off its leash. 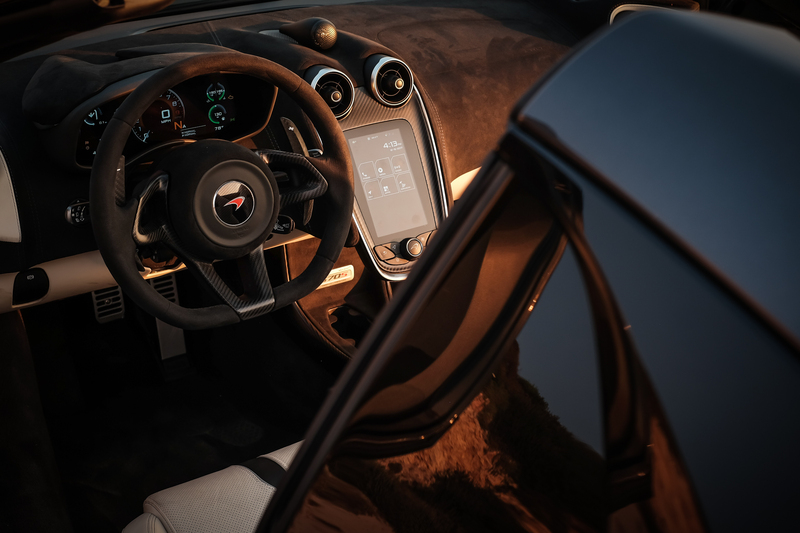 The Alcantara lined dash, bespoke TFT center console and drivers instrument panel, and leather seats provide pilot and co-pilot with just the right amount of luxury. It's like the prettiest butterfly ever made. Care to listen to some tunes? Well, we sure did. I can tell you A Tribe Called Quest and Jurassic 5 never sounded so good thanks to the Bowers and Wilkens sound system. For a brief while, Manuel and I were total ballers. 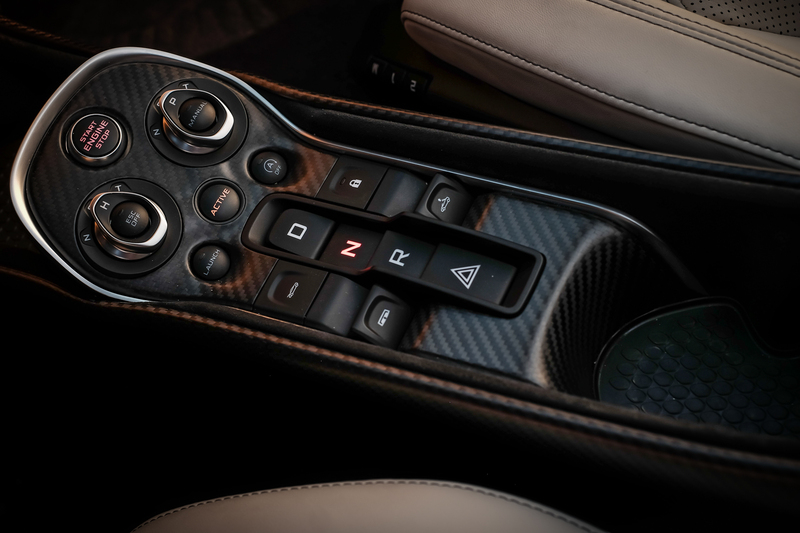 I might have missed it but the McLaren 570S even has two very small cup holders capable of holding those new mini cans of soda. I found this to be mildly amusing. 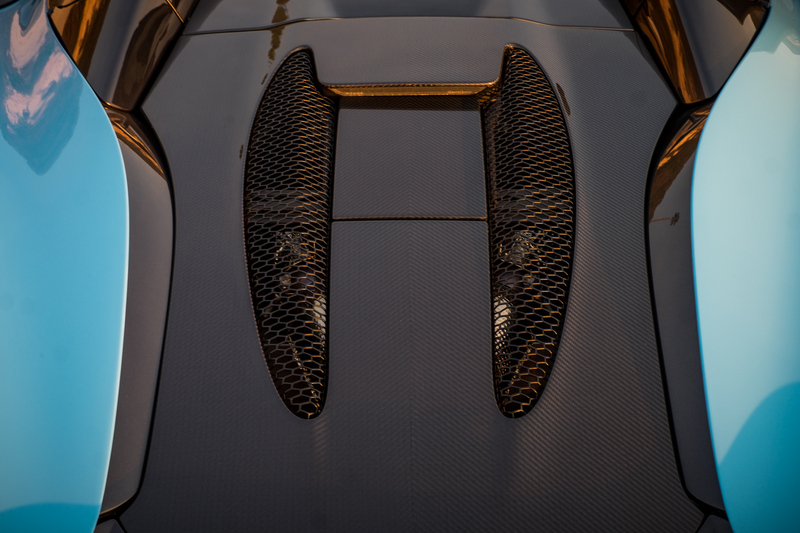 I could piss and moan about a few things related to the McLaren 570S Spider. It’s not really built to comfortably accommodate someone north of 6 feet and 5 inches tall for more than an hour, the mini frunk makes in entirely implausible in the city or for errands, and the price tag keeps it well outside my photographer/writer salary. 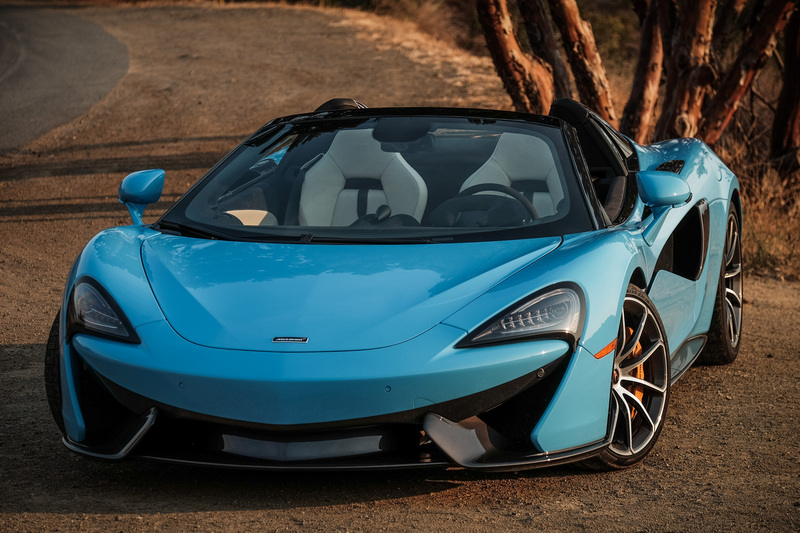 Maybe one day when I am able to put down $5,000 and opt for a $2,500-a-month, three-year lease, I could have my own McLaren 570S Spider. 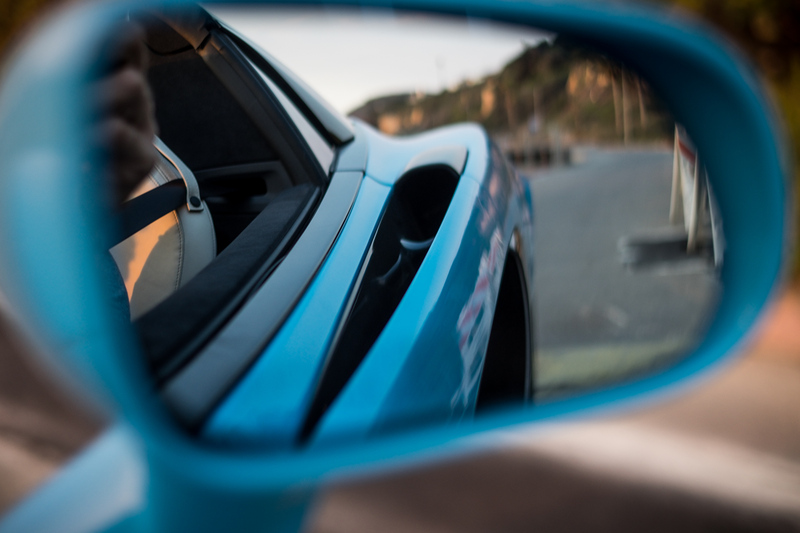 While my account was from the passenger seat, take it from Manuel on what it's like to actually drive the 570S Spider in the video below. His cackling and joy were real. Believe me, it's not an act. I would be behaving the same way if I was piloting this insane roadster.